Ask any parents and they will tell you this: having a baby will change your life. This was what happened to creator of InstaB, Tang Tung Ai, which gave him the idea of creating a dedicated app to capture moments of his newborn. 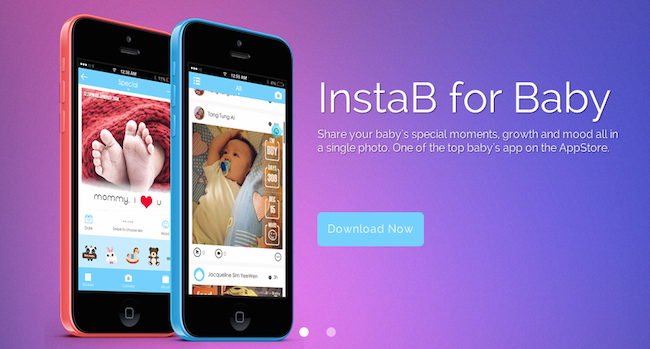 InstaB is a simple app that allows parents to customise their baby photos or videos. Parents can also add extra information, auto-populating a selected photo with details such as age, gender, zodiac, date and the baby’s mood, and then share it on social networks. 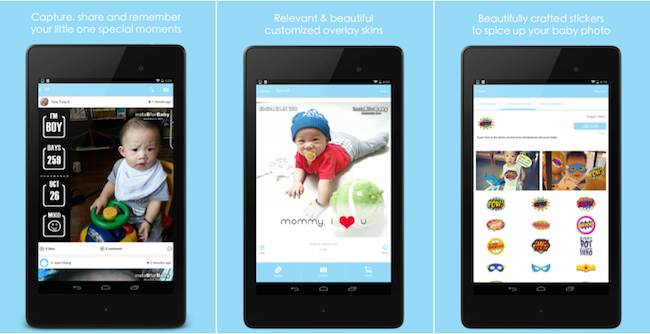 “Going through the same experience and seeing all the pictures of other new parents convinced me there is a market for this app. Parents like to customise and make their baby photos unique, and at the same time, they want to be able to keep track of small things like what the baby was doing at that particular time, age and mood,” shared Tang. According to Malaysia news site The Star, InstaB was launched on the Apple App Store in May. Tang told Vulcan Post that there are currently 53,000 active parents using the app, with average of 1 babies photo share every minute. Tang hopes to have 100,000 users by the end of the year, which he admits will not be easy as Malaysian users do not like to pay for apps. Other than just snapping photos, another key focus for Instab is its video feature. “We want to create more useful features because we believe the extra features will help build InstaB users’ base. We also have to keep up with the rapid technology changes and the competitive app space. Every day, more apps are launched, and any one of them can take over your market niche,” said Tang. “The whole idea of this six-seconds video is to record something when photos can’t tell the whole story – like a baby’s first turn,” Tang added. Other than recording the videos, users can easily apply a skin on top of the video too. The app currently monetizes through in app purchases: users can but custom stickers to apply onto the images. Other than that, the app comes in two versions: the free app, and the paid (US$0.99) app — where the latter offers captioning, and without pop up ads and logos. The team also has plan to make money through video advertisement, something which a lot of mobile apps are lacking currently. Update: Tang clarified that the video feature is currently put on hold for now. They also no longer offer two versions of app, but instead both are combined into a free version with in-app purchase for virtual stickers. Are you a parent? Would you use Instab?